The replay of Tuesday’s webinar – Starting from Scratch – Twitter for Small Businesses is now available. I’ve put it on YouTube (you can watch it below). It will be there for at least two weeks. I’m not sure yet if I’ll keep it up longer than that. This is in HD so you can watch it full screen. Enjoy and let me know if you have any questions. I’ll be doing a follow-up more advanced Twitter webinar after this initial 3-part series is over. 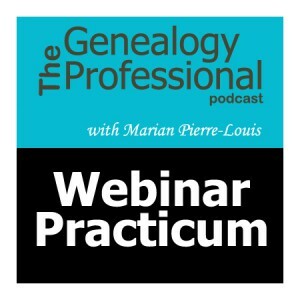 There are still two more free webinars in the series that you can sign up for! Time zones: 12PM Eastern, 11AM Central, 10AM Mountain, 9AM Pacific, 4PM GMT. Are you wondering if Facebook Pages are worth the time and effort? Have you heard that you have to pay for ads to get seen? Not sure what to post and when? In this webinar Marian Pierre-Louis will introduce you to the world of Facebook Pages starting from scratch! We will begin with creating an account then move on to what to post, how to attract new followers and a frank discussion about whether it’s worth it. the site? Afraid of yet one more social media platform to take up your time? In this webinar Marian Pierre-Louis will introduce you to the world of Google+ starting from scratch! We will begin with creating an account then move on to how to post, why you used use collections and why Google+ is worth the effort.